This application provides a way for people who are facing problems due to civic issues like garbage dump, sewage leak, potholes etc. to register a complaint using images which are automatically geotagged. The pertaining government agency can inform the public (through an image or message) of the rectified issue. This application enables a transparent medium through which the users can register complaint, view existing complaints and confirm the rectification of the issue. Keywords : Android Programming – JAVA, Geotagging, Cloud Computing – Heroku, Parse Server, Civic Issues. Today we are facing many civic issues, especially in populated cities. This is leading to increasing number of complaint registries. A transparent and approachable mechanism is required where the people of a locality are able to register complaints, check if they have been rectified and also support existing complaints. This application provides a way for people who are facing problems due to civic issues like garbage dump, sewage leak, potholes etc. to register a complaint using images which are automatically geotagged. The pertaining government agency can inform the public (through an image or message) of the rectified issue. This application enables a transparent medium through which the users can register complaint, view existing complaints and confirm the rectification of the issue. The user can login to this application which enables him to capture images and also specify a landmark. The image, geotagged location and date and time of registered complaint is immediately made available to the nearest civic agency. People facing the same problems can vouch for the existing complaint by retagging which brings the awareness of the number of people who are being affected by the issue. When the Swachh Bharat Abhiyan began many developers have tried to contribute to this movement by building applications that help in making India cleaner while also addressing many key civic issues people are facing. Some of these applications that significantly contributed to this movement were: Swachh Bharat – Clean India, BBMP Sahaaya, I Change My City. Creating a safe and a healthy environment for the citizens is the top most priority of any country or state. To promote this idea every country has its own civic agencies catering to such needs and solving issues as when they crop up. Resolving civic issues is necessary for the development of a city and the betterment of the quality of life of the city‟s residents. The common problems that the civic agencies face are that they are unaware of many such neither issues that the city folk are facing nor do they have the workforce that can identify such existing problems. The application relieves the user from going to the government building and lodging a complaint, the user enjoys the benefit of lodging the complaint regarding any civic issues they are facing like garbage being dumped, sewage leak, potholes, drainage unclean or even malpractices and irregularity of the workmen. This proposed project bridges the gap between the residents of a city/neighborhood and the civic agencies and lets the interaction between them, through this android app, solve such issues. Successful project management is characterized by good planning, effective discovery and resourcing, realistic expectations of outcomes and strong management support. The more complex a project, more attention to detail is required to its project management through the adoption and use of a project management methodology. Can-Technologies have skilled personnel that adopt a structured methodology approach to managing projects. The objective is to provide common standards to ensure that projects are conducted in a disciplined, well-managed, and consistent manner, completed on time and within budget. The project management methodology consists of a set of inter-related phases, activities and tasks that define the project process from the start through to completion. Each phase of the project produces a major deliverable that contributes towards achieving project objectives. Phasing of the project is also used to provide logical breaks in the project associated with key decision points. Phases consist of a number of activities that are groups of related tasks and, when viewed in isolation, give a clear indication of the logical sequence of steps to be taken to achieve either phase or project objectives. Each activity has a number of tasks. Tasks are the lowest level shown in a breakdown and produce an outcome contributing towards major deliverables. With this project, we try to introduce a transparent system between the concerned government officials and the people facing any kind of civic nuisances. Android java files contain Parse Server APIs to interact with the cloud (Heroku). The add-on used by the cloud is Mongo DB. The data is stored in the database. 1. Geotagging is the process of adding geographical identification metadata to various media such as a geotagged photograph or video using GPRS system and cheap sensors. Geotagging can tell the location of the content of a given picture or other media or the point of view, and conversely on some media platforms show media relevant to a given location. 2. The cloud used is „Heroku‟. Heroku is a cloud Platform-as-a-Service (PaaS) supporting several programming languages. It supports MongoDB as an add-on. 3. 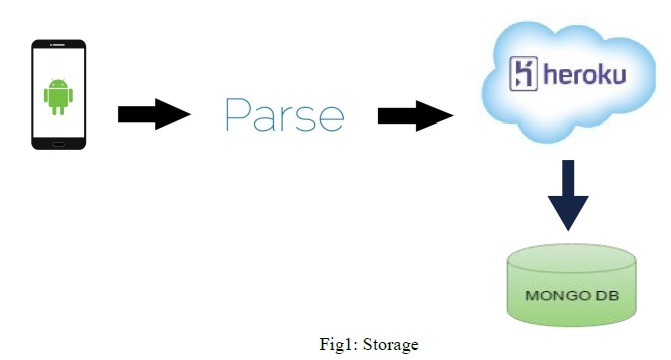 Parse APIs are also used to while programming to interact with cloud. Parse is a Mobile Backend as a Service provider. It is a model for providing web and mobile app developers with a way to link their applications to backend cloud storage and APIs exposed by back end applications. 4. Parse Server can be deployed to any infrastructure that can run Node.js. Node.js is an open-source, cross-platform runtime environment for developing server-side applications. 5. Parse dashboard to manage apps and view database stored in Heroku. 6. Android Studio - official integrated development environment (IDE) for Android platform. Version: 2.0. 7. A mobile device with Android operating system (minimum version 4.4 tested till now). 1. Login as a user. A user can view complaints, vote for them and create new complaint. 2. Register a complaint by capturing an image of the issue which is automatically geotagged. This helps locate the exact location of the issue. 3. Add comments so that the problem can be stored in detail. More information which the type of complaint, its image and location cannot depict can be given using complaint, like, if the garbage collection is not done regularly. This can be expressed in the comment. It also gives severity of the issue to the person who complained when read by the civic agency in charge. 4. Avoids redundant complaints by merge similar complaints. The latitude, longitude is compared with the existing complaints. If any existing complaint is within 20 meters and if the type of complaint is same then the complaint is not created. Instead the existing complaint is voted up. 5. Vote for existing complaints. Each user can vote for a particular complaint only once. The status is notified to the users who has registered the complaint and also to the users who have voted for it. 6. Search specific complaints either by entering the complaint ID or by filtering the complaints on the basis of location and votes. The UI of the app makes it easy to understand and use for the common man yet powerfully implementing all the features that the application is supposed to support. Displays the splash screen with the app name and logo. It fades after 3 Seconds. Consists of parse initialization code. Consists of login and sign up page. Consists of two tabs which list the complaints. One tab when selected lists according to recent complaints and the other according to popularity through votes. The complaints are queried from database and displayed. There is a search button to search a particular complaint by giving its complaint ID. Most importantly there is a button to book a complaint. To open existing camera app. To fill up other details and also to retrieve the location. If the details are entered and the location is successfully retrieved then the details are stored in the „complaint‟ class in the cloud. If a complaint already exists then it increments the vote of the existing complaint by one but does not store the new complaint. The similar complaints are determined by two criterions. If the location and the type of complaint are same then the complaint is said to be similar. This activity retrieves the complaint searched for from the database and displays. It displays the image, date when the complaint was lodged, comment, votes, type of complaint and address. As for future works we can add maps to guide civic agencies to the exact location of the issue. RTI could be linked to the application so that users can complaint if their issue has not been rectified for a long time. 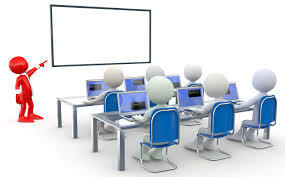 The government agency is provided with a list of registered complaints along with the type of the problem, location and date and time of complaint to help them schedule their course of actions. Once the issue has been rectified the pertaining government agency can inform the public (through an image or message) of the rectified issue. When the user confirms this rectification the complaint should be closed. If the user fails to confirm the rectification the complaint would get expired after a particular duration. We also would locate the issue using a map for the civic agencies to navigate to the exact location. Right now the target audience of the application is the people of Bangalore City. The app requires the cooperation of the civic agencies so the complaints are addressed regularly or perhaps bring to notice of the people the cause of the issue and why it cannot be rectified in the near time. This application would not only help the people to easily register complaints and support existing complaints but also help bring awareness to the civic agencies and prepare a plan for rectifying them. If the application becomes a success and it overhauls existing similar applications, then we can implement the same model across the major cities of India, subsequently in the future to all the cities of the nation. This application could contribute to the Swachh Bharat Abhiyan one city at a time.